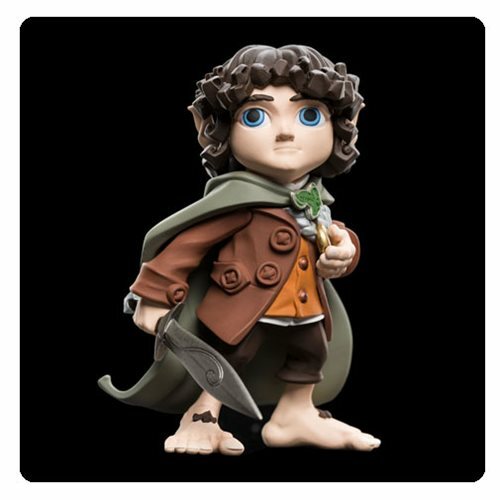 "I will take the Ring, though I do not know the way..." The loveable Hobbit, Frodo Baggins, is now a super-collectable vinyl figure. From Weta Workshops, the premier Lord of the Rings collectables makers, comes the new Mini Epics line, which features your favorite characters as stylized vinyl figures. Created by the same artists that worked on the Lord of the Rings films, these stylized figures are a fun way for Lord of the Rings fans to make their collections standout. Grab all your other favorite characters to complete the collection (sold separately)!